The Norman Date Guide contains suggestions for various fantastic, creative, and local places for amazing, fun, and unique dates. Young or old, straight or gay, romantic or fun, first date or long time married–there are ideas for all kinds of couples and types of dates in Norman. This isn’t a laundry list of places – it’s a thoughtful collection of eateries, activities, and options with remarks about what special characteristic makes it a good date choice. Date ideas are sorted in collections of districts, areas, or themes, making it easier to string together an itinerary. For example, start a date at a restaurant and then walk down the street to an art gallery. Also included are regular events. For more Norman date ideas throughout the year, follow Uncovering Oklahoma on social media like Twitter, Facebook, and Instagram. Be sure to come back here as this list will expand and change over time. [pullquote-right]TIP: Pay attention to doors! You’ll walk right past hidden treasures, like Gallery123. On 123 East Main Street in downtown is a doorway leading upstairs to several small art studios. [/pullquote-right]The 2nd Friday Art Walk is a monthly, citywide celebration of art. It’s a collaboration between artists, art organizations, and businesses, brought to you by the Norman Arts Council. Most of the action of the art walk is in Downtown Norman along Main Street. 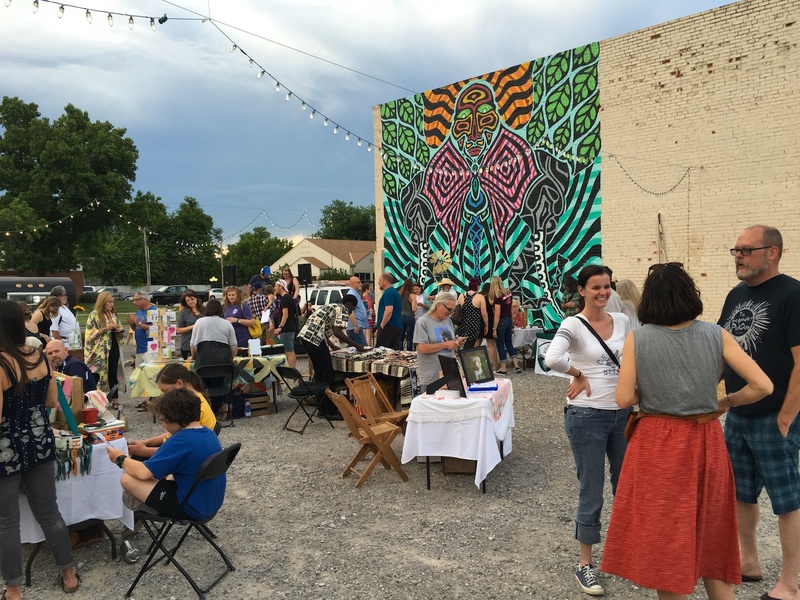 Whether couples like dance, painting, photography, or music, there will be something for everybody to see, hear, and do during the 2nd Friday of every month in Norman. All events are free and open to the public from 6 pm until at least 9 pm. This is the Number 1 date idea pick for Norman. As the name implies, Scratch makes their meals and cocktails from, well, scratch. They are “nerds about flavor” and it shows from the quality of this fine American style dining restaurant. Watch this video on Scratch. 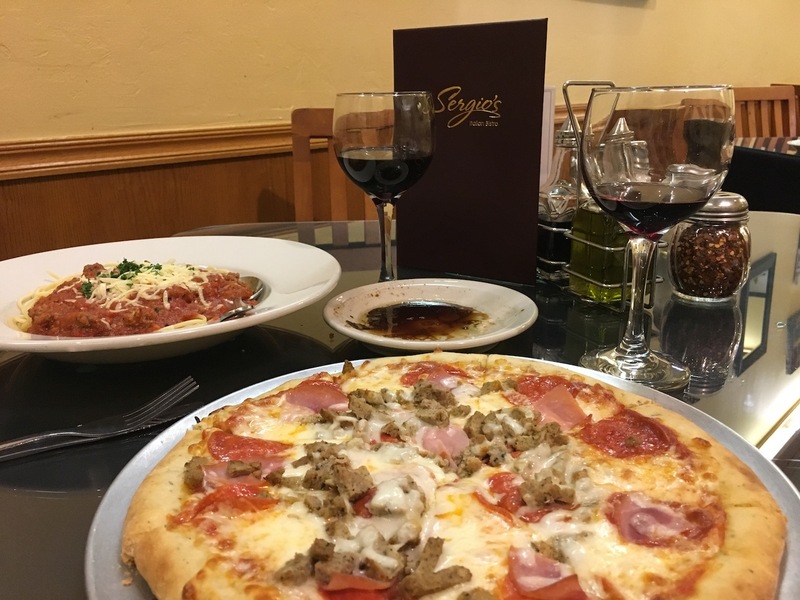 Sergio’s serves traditional and fresh Italian food, pizzas, salads, and Italian sandwiches in a place that will feel like you brought your date to someone’s home. There’s also a bar area if you want to simply get drinks before strolling around Downtown Norman. Their tiramisu is some of the best in the city. You may want to get up early for this breakfast boutique. The boutique atmosphere of Syrup compliments the food that’s both filling and beautiful. If either of you need a wake up boost, the coffee is strong and hot. Having a first date at Michelangelo’s Coffee and Wine Bar has an advantage that you can have a cup of coffee or a glass of wine and either party of the date won’t feel like they have to maybe turn down an alcoholic drink. They have a small menu of light foods as well, but it’s a very casual place. It’s quiet. The music is never too loud, but it’s loud enough just so that the people from the next table can’t hear your conversation. For a coffee shop with a Portland vibe, Gray Owl Coffee has a casual living room atmosphere to help you both feel at ease. They are one of the only places with a cold brew coffee that they spend hours brewing. I would describe Waving Wheat Bakery as a casual counter-culture hidden bakery gem that’s open to anyone. Both the food and coffee is delicious. If one if you loves spicy drinks, get the Spicy Mayan. Downtown Norman is home to some wonderful public art. Take an expedition as an art filled date anytime. 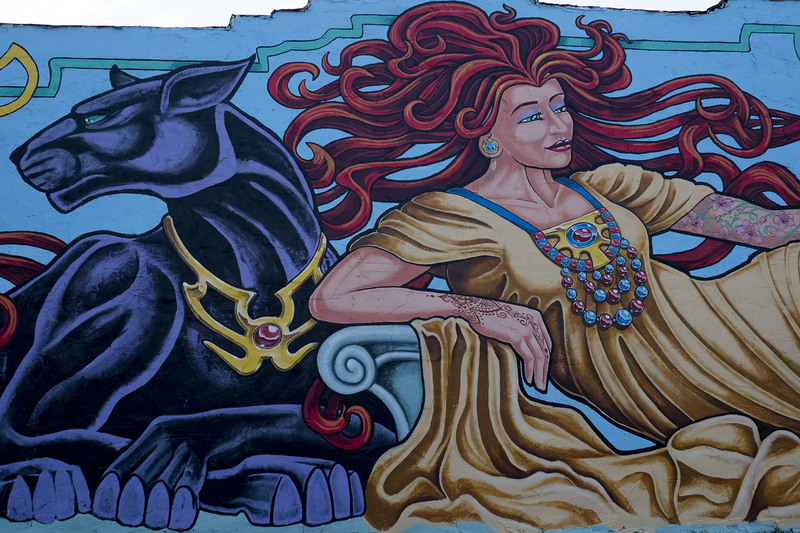 Read this article I wrote about 8 Public Art Displays in Downtown Norman to See in Person. Don’t forget to check out the alleyways between Main Street and Comanche. 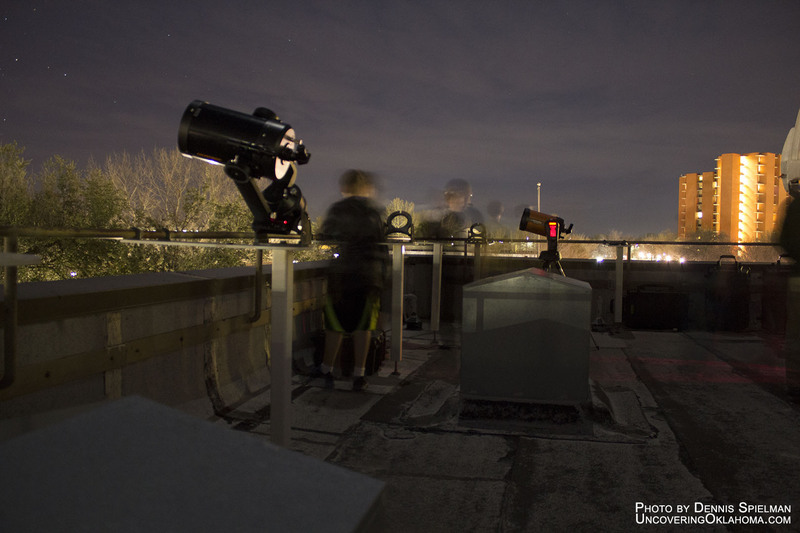 Every Wednesday night while University of Oklahoma (OU) is in session, the Physics and Astronomy department hosts public star parties on the roof of their observatory. The star parties have several telescopes with each one set up to view a binary star, nebula, planet, or star cluster. While the staff of the star parties will admit Norman isn’t the most ideal place to view the cosmos due to the brightness of the city, there are still beautiful sights to see. Read more about the OU Star Parties here. During the OU Ghost Tours, Freshman Programs Instructor Jeff Provine escorts curious guests to selected points of unexplained OU lore and legend, presenting his ongoing research into the mysterious side of the University of Oklahoma campus. This nighttime walking tour will add intrigue to existing knowledge of Oklahoma’s iconic institution of higher learning. Pair the date with a restaurant in Campus Corner, which is within walking distance from the tour’s starting point. To take the tour, sign up here and check out the complete schedule details. Victoria’s Pasta Shop is a popular place for dates in Campus Corner and it’s easy to see why: fresh pasta in a comfortable, community restaurant. They are simply, delicious. A Modern-American restaurant, Seven 47 casual art-deco atmosphere will lure you in and the food will have you coming back. 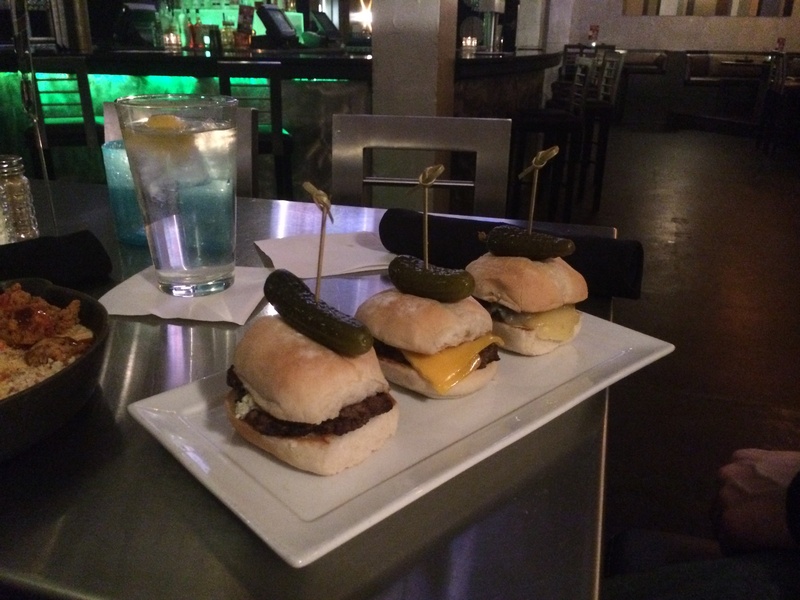 Their menu consists of a variety of American and southwestern cuisine. 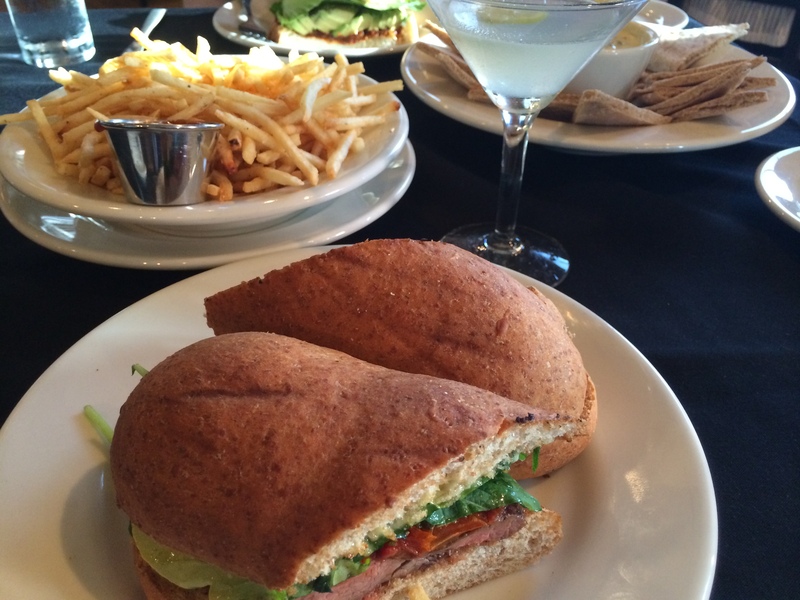 In addition to their dinner menu, they offer numerous specialty drink selections and an expanded wine menu. Seven 47 also offers an elevated rooftop patio with a bar. 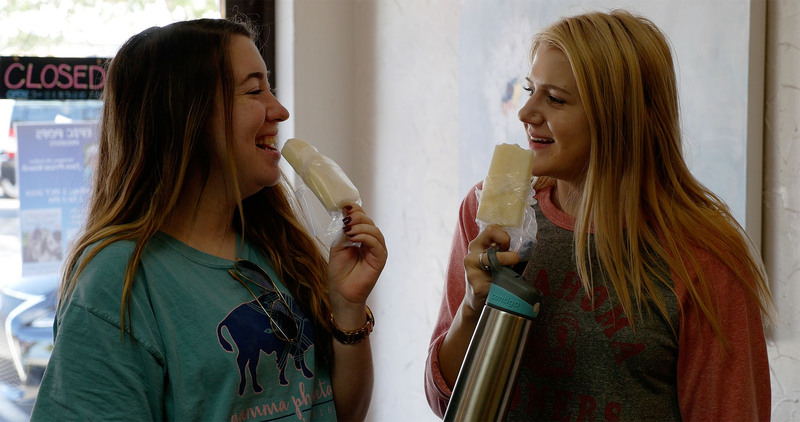 Relive the joy of youthful memories of eating popsicles at Epic Pops. You won’t find this kind of treat anywhere else. Serving a variety of homemade chocolate goods and great coffee, it’s hard to go wrong with Apple Tree Chocolates. As their name implies, they have chocolate covered apples, along with tons of other chocolated covered goodies. The Fred Jones Jr. Museum of Art of Art is a great date destination for a few reasons. 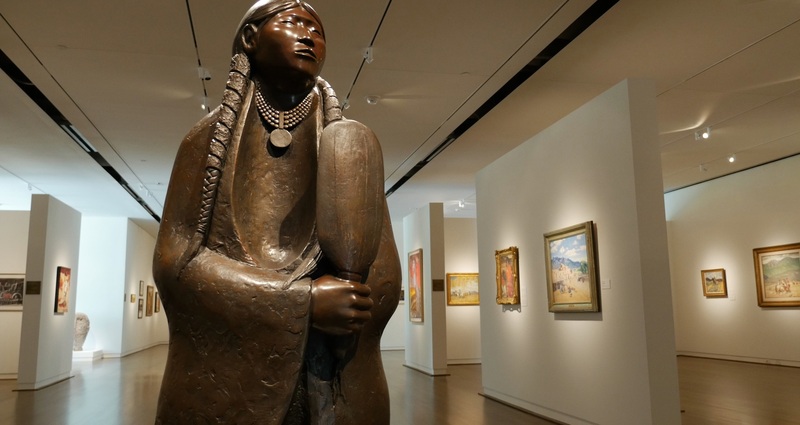 First of all, they have a world-class collection of art including French Impressionism, Native American, contemporary American, and much more. Next, admission is always free, so they’re a great place to spend a few hours without breaking the bank. They’re open until 9 pm on Thursdays and have a wonderful selection of gifts and unique items in their museum store if you’d like to remember your time together. Visiting a museum with a special person is a great way to spark conversation and get to know each other better. If the date really takes off, there’s also a great selection of public art on view and within walking distance on the University of Oklahoma campus, including Robert Indiana’s LOVE sculpture, which is perfect for taking photos together! The student friendly coffee shop, Second Wind, is a casual spot for students to hang out. The coffee is inexpensive donation based, again, making it student friendly. Have a date night during one of their music shows or poetry slams. For dessert with your coffee date, try Crimson & Whipped Cream. They have tasty baked goods and a fun card shop next door to browse for fun converstions. Want to dance, but don’t know how? Shall We Dance? offers private instruction, group instruction, and practice parties for various styles of partner dancing including, Ballroom, Latin, Swing, and Country dances. They are Norman’s only studio dedicated to offering all the partner dance styles. 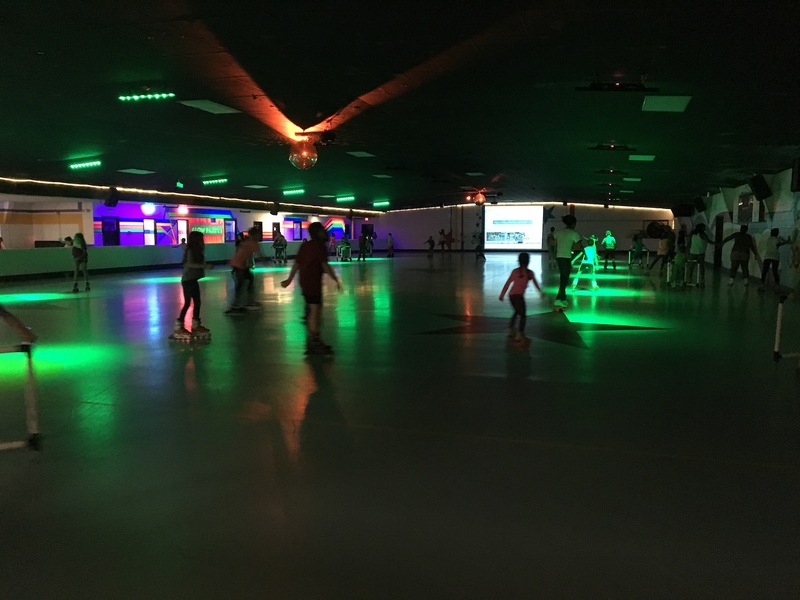 They offer an Introductory Special to get your feet warmed up that includes two 1/2 hour private lessons, one group class, and one practice party. Every Friday at Shall We Dance? is party night. 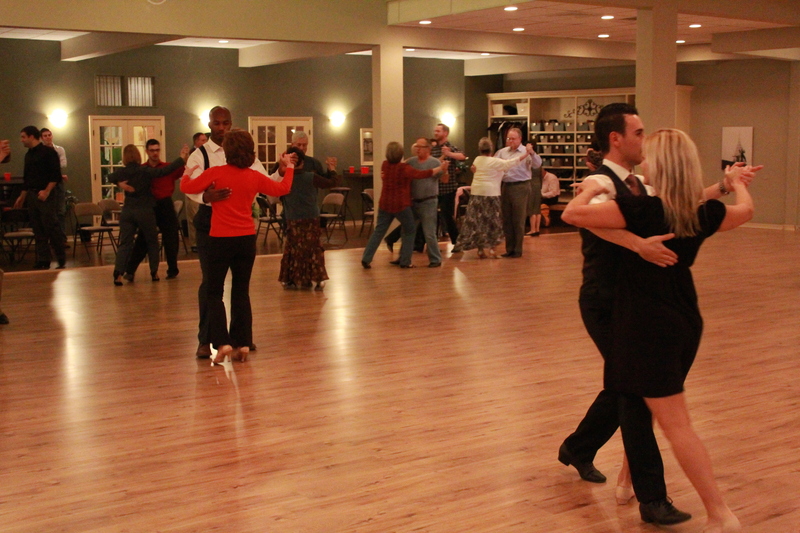 They start with a group class at 7 pm and dance from 8 pm to 10 pm. During the party they play all the different types of music for all the partner dances, ensuring that everyone has a chance to dance no matter what types of dance they are learning or already know. No reservations or prior classes are required to join the party. I’m a huge supporter of having fun by playing on a date. 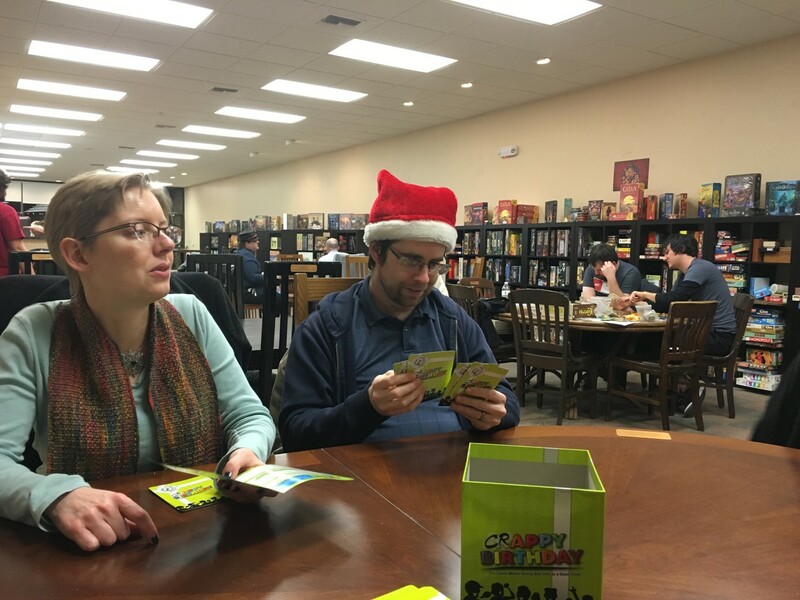 For $5 a person, you get an all-day pass to play any of Loot&XP’s games from their massive library, which includes card games, board games, and even roleplaying games. Plus: they got a cafe for coffee and drinks! Classic 50’s Drive-in has been a Norman staple since 1957 and for those who grew up in Norman, they have a lot of good memories there and many young couples have gone here for their first dates. With a broad menu ranging from specialty salads and sandwiches to fresh seafood, pasta, steaks, along with vegetarian and gluten-free dishes, Legend’s Restaurant will have something for everyone. Let’s not forget the house-made desserts too! Legened’s is one of those resturants where you can dress up or down with a wide range of prices. Consider taking a cooking class at The International Pantry where they have both hands-on and demonstration classes. 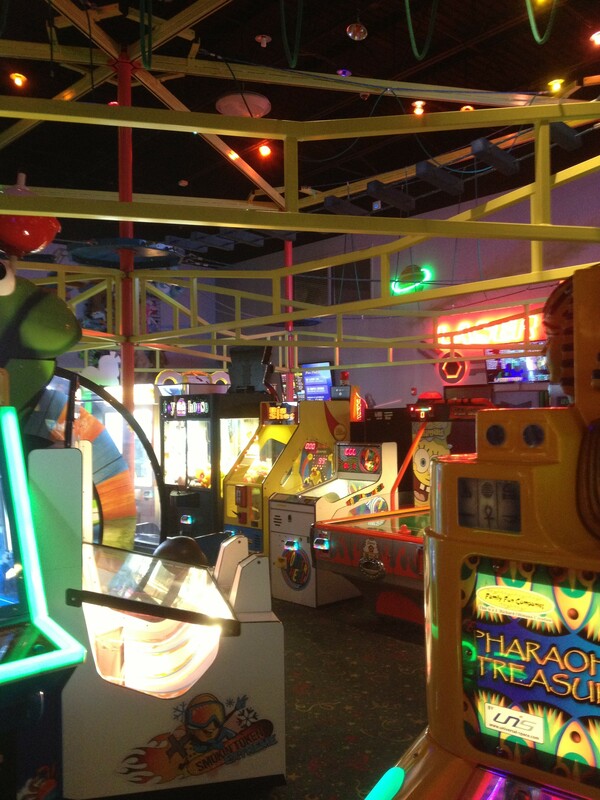 HeyDay is a family fun center where they cater to the kid in everyone with laser tag, an arcade, rope course, mini-golf, and bowling. Their two-level laser tag arena allows players to cross bridges, travel up and down ramps, hide behind illuminated pillars, and weave between arches and passageways. In the Ropes Course, you’ll get to explore the multi-path jungle of ropes, balance beams, planks, and bridges. The main attraction to HeyDay are the bowling lanes. 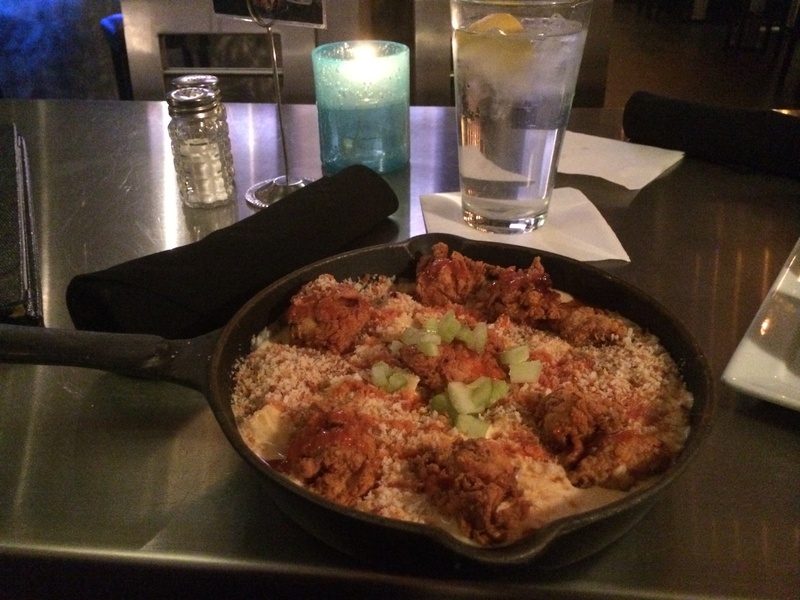 Be sure to visit Revolution upstairs, a chic, 21+ environment featuring comfortable seating, a cozy fireplace, a billiards table and bar-rail seating which overlooks the bowling lanes downstairs. 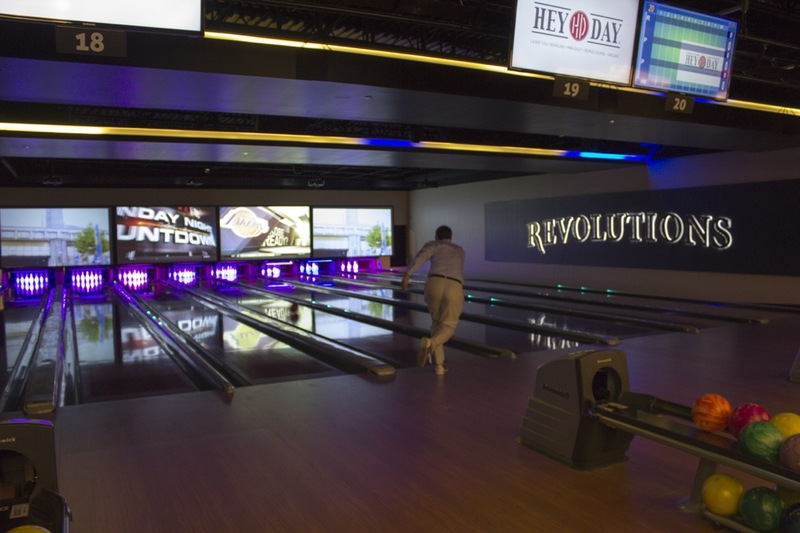 Revolutions is also home to eight beautiful cherry wood bowling lanes – the perfect setting for challenging friends and coworkers. The 18-hole mini-golf course features varying elevations, accented by rippling streams, ponds, waterfalls, a bridge, beautiful landscaping, and even some sand traps. HeyDay also offers group Adult Laser Tag Packages that includes a session of laser tag, tokens, pizza, and drinks—perfect for date nights with other couples. Enjoy some of the best artisanal gelato together at il Dolce Gelato. With over 20 flavors of gelato, along with coffee options, it will be worth the trip just to see them. 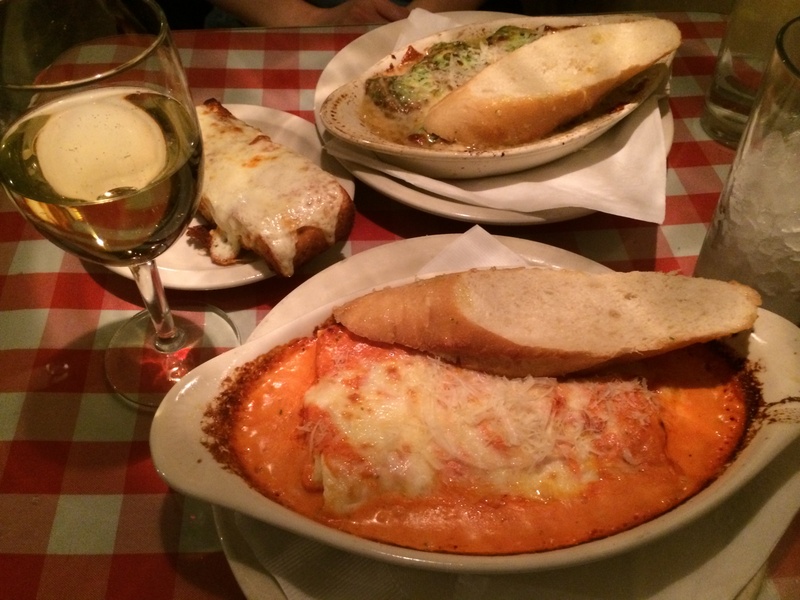 Gaberino’s Homestyle Italian Restaurant is a small family owned local diner, tucked away in Norman’s West Side. All of the dishes are made fresh and in-house. Compliment your pasta with a glass or carafe of one of their Italian wines or a local beer. The Italian Cream Cake is the perfect ending to any meal, and perfect for sharing. 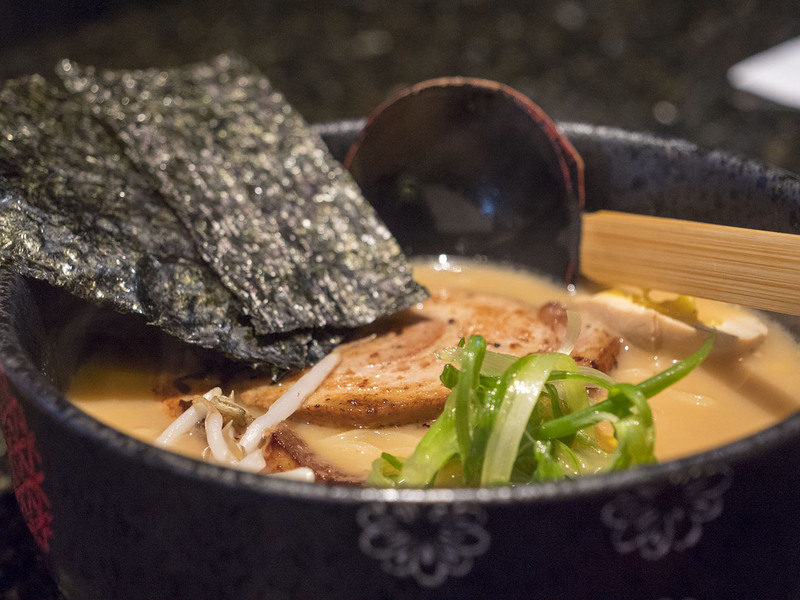 Enjoy traditional Japanese Ramen and Sushi in Norman’s only ramen shop. It may be the only game in town, but it has set the bar high with the wide selection of ramen types. Fair Warning: the chilli bombs are super hot. Don’t forget to share some mochi ice cream. Specializing in non-traditional brewing methods and ingredients, 405 Brewing features creative takes on beers worth exploring together for a casual date. While they in an industrial area, they do host food trucks if you want to get a bite to eat. 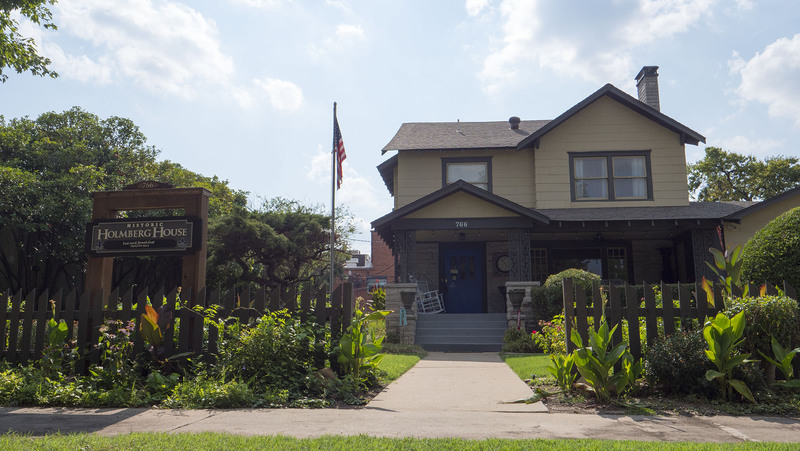 In 2010, The Norman Arts Council and Norman Public Arts Board started working with the Firehouse Art Center to develop community-based public sculptures that would foster social interaction, develop arts awareness, and enhance Norman’s parks. The original “Samo Ducky” resides in Lions Park, while the other ducks, painted by local artists, have been placed in parks around the community. Have an adventurous date together, taking selfies with as many ducks as you can find and have a picnic together at one of the parks. For the location of all the Samo Ducks, click here. The Redbud Ridge Vineyard & Winery features dinner wines that can be paired with food of varying intensities from a rib eye off the grill with the Big Red Steak Wine to salmon, ham and turkey with dark rose blend of Cab, Merlot, and Zinfandel called 3 Roses. Redbud Ridge is also the home of the infamous Wine for Stoops, which is lightly sweetened with the taste of victory. Canadian River Winery has up to a dozen wines and several fresh Oklahoma grape juices to taste, such as their Chocolate Merlot, a chocolate flavored Merlot, with hints of cherry and sweetened for those who prefer a sweeter wine, and their Strawberry Zinfandel, a sweet red wine with strawberry. Native Spirits Winery offers wine on their patio overlooking their vineyard and farm pond or enjoy a leisurely walk through the vineyard. They have Cabernet Sauvignon, Riesling, and Syrah grape vines growing in their vineyard and a variety of wines to taste. 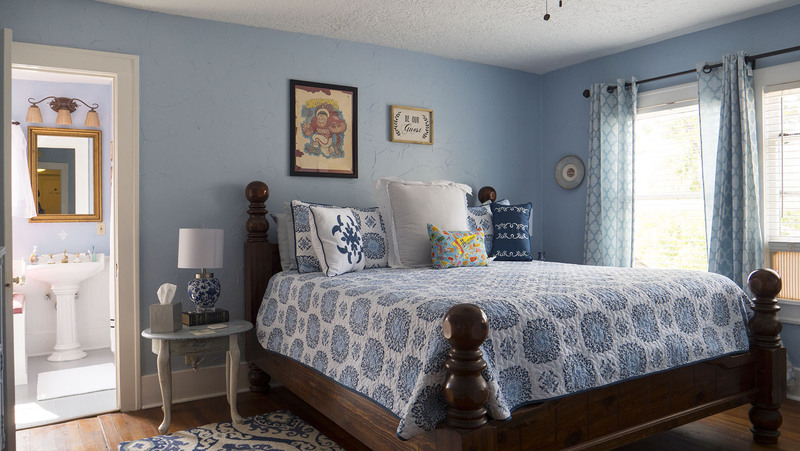 Renovated in 2004 to replicate the feel of a visit to old Mexico, Casa Bella is nestled in a setting so tranquil you will never know you are within blocks of the University of Oklahoma. The three bedroom home at The Cutting Garden is a cozy oasis with a lush, natural backyard with flowers, herbs, and pecan trees. Their back deck is great for sitting back with a drink and letting your worries drift away. Call them at (405) 329-4522. Professor Fredrik Holmberg and his wife, Signy, built the Holmberg House in 1914. Holmberg was the first Dean of the University of Oklahoma’s College of Fine Arts and was also the first to conduct a symphony orchestra in Oklahoma City. Located in the heart of Campus Corner, just across the street from OU and one and a half blocks from University of Oklahoma’s Memorial Stadium. The Historic Campus Corner offers restaurants, shopping, and entertainment, all within walking distance. The grounds at The Manor offer large trees, lush greens, and beautiful flowers along with a fire pit to sit by and enjoy together. The Manor Bed and Breakfast offers only one guest suite, which allows their innkeepers to provide one-on-one service and undivided attention to their guests. The personal bathroom for guests has a beautiful walk-in shower and a two-person corner Jacuzzi tub. Guests can enjoy a gourmet breakfast in the suite or on the dining porch. Whispering Pines has the look and feel of a 1900’s mansion, accompanied by a wrap-around porch, gazebo, and grand staircase. Baskets of goodies are found in every room, from the elegant main house suites to the rustic Pine Cone Cottage. They say there is no need to get ready early as they deliver a freshly prepared private breakfast to each room. 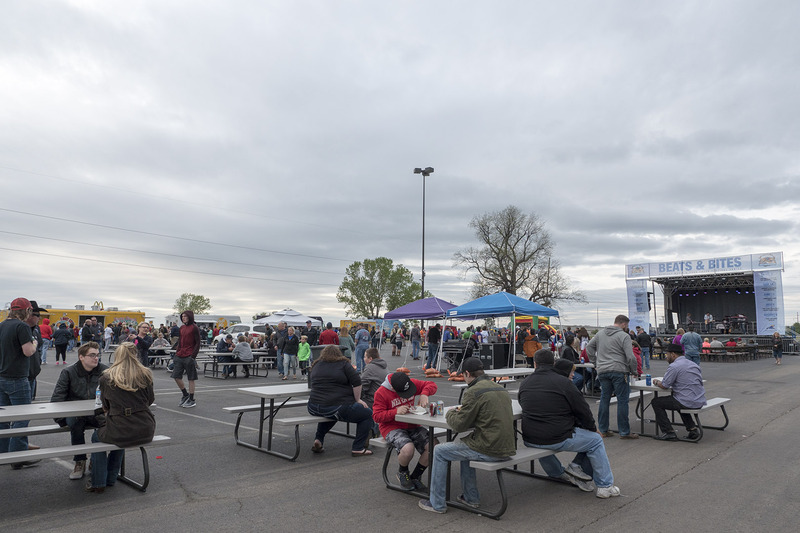 The Riverwind Casino presents the monthly music and food truck festival series, Beats and Bites. The free event features an impressive stage that you can enjoy live music no matter where you two go to enjoy the food trucks, vendors, and beer/wine selection. If you two are feeling lucky, go inside Riverwind Casino to play one of their many games. 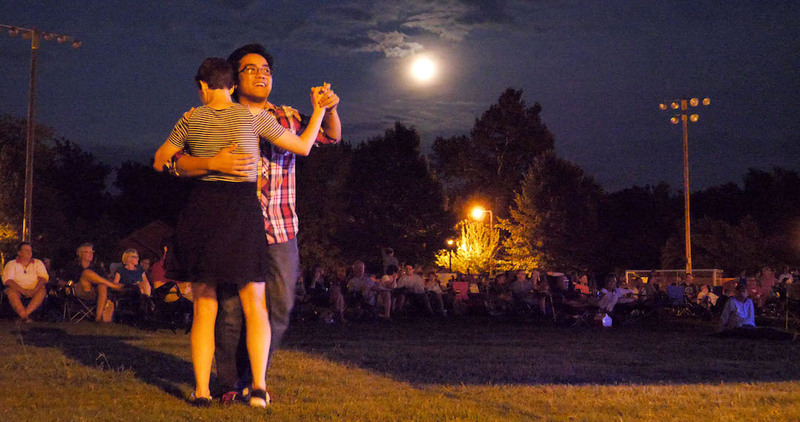 Bring a blanket and picnic basket to enjoy the free The Summer Breeze Concert Series. These May through September, Sunday evening outdoor concerts feature national and local musicians performing in Norman’s Lions Parks. As the state’s biggest free music festival, the yearly Norman Music Festival has music of all genres. Even if you don’t live in Norman, the Norman Music Festival is worth traveling when it happens in April. For more date ideas throughout the year, follow Uncovering Oklahoma on social media like Twitter, Facebook, and Instagram.